“Devil Wears Prada”-esque bosses and literary critiques of Western novels are only a few of the anecdotes that came out of Downey House Lounge on Friday, Feb. 24. 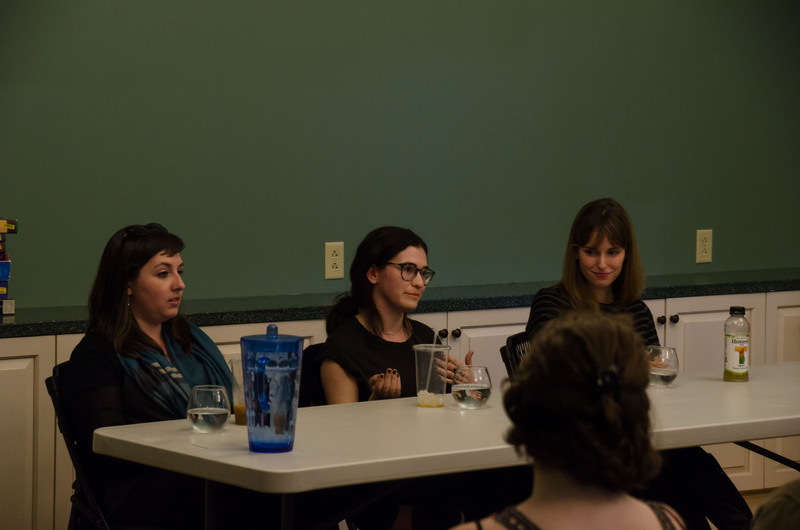 While most of campus lounged on Foss Hill and enjoyed the unusually pleasant weather, the English department hosted a panel on careers in publishing with three University graduates: Caitlin O’Shaughnessy ’08, Danielle Springer ’13, and Anabel Pasarow ’16. Springer is an editorial and publisher’s assistant at G.P. Putnam’s Sons (an imprint of Penguin Random House), Pasarow is an editorial assistant at the same imprint, and O’Shaughnessy is the current marketing manager at Penguin Press. The alumnae addressed their experiences in the industry without sugarcoating the challenges of their careers, but reiterated how much they enjoy their work. O’Shaughnessy kicked things off by talking about her first job in the field right out of college. She also addressed her quick change after only nine months to try and work with books instead. They covered a wide range of topics, from initial challenges at their lower-level positions—O’Shaughnessy mentioned that at one point she was getting coffee four times a day—to the unexpected perks of the position. After describing their current positions in detail, Springer and Pasarow gave advice to those interested in entering the field, as well as sharing what they hadn’t expected about publishing. They continued to affirm their love for their positions at the organization. Pasarow discussed one of her bosses who works primarily with celebrity memoirs, and how her work surprises her. The panelists then answered more questions from the audience, sharing what each of them does on a typical day. When prompted, the panelists discussed how their time at the University helped them with their careers in publishing. Pasarow added that she had initially contacted O’Shaughnessy when she decided to enter the industry. “The Wesleyan connection is really strong,” Pasarow said. O’Shaughnessy compared her time at the University to her current position in marketing. Soon after, she shared her desire to stay in the industry, but to move toward the business side of publishing. She concluded her thoughts in a lighthearted manner. “But then again, I might have to because it’s a very hard industry to stay in for a long time,” she said.